I want help you embrace your purpose, develop language for your calling, and find opportunities to flourish in your personal and professional life. Join me each Wednesday at noon, and let’s take back the middle of our week. No more hump day blues, let’s get motivated, and step into purpose. Come get your weekly purpose power up! 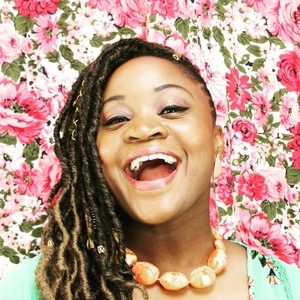 Episode 8: Landing a Career You Love! Today, we're discussing Part 2 of “Working Your Resume”, where I’m taking a deep dive into crafting an effective resume, sharing some do's and don'ts, giving practical "how to" help, and answering the #1 question I receive about resume writing. You will be encouraged to consider your whole journey, get specific, and write meaningful statements about your experience, abilities, and accomplishments. My goal is to help you to embrace your purpose, develop language for your calling, and find opportunities to flourish in your personal and professional life. Join me each Wednesday at noon, and let's take back the middle of our week. No more hump day blues - let's get motivated, and step into purpose! For this week's episode, we're taking a practical look at a sometimes tedious and frustrating, but necessary part of many people's path to purpose - writing that resume. It's a new year, and if you're looking to start your career journey, shift gears in your career, or pursue a new opportunity, then this is the episode for YOU! My goal is to help you to embrace your purpose, develop language for your calling, and find opportunities to flourish in your personal and professional life. Join me each Wednesday at noon, and let's take back the middle of our week. No more hump day blues - let's get motivated, and step into purpose! On this episode of Wisdom Wednesday's, we are talking about making the most of EVERY opportunity, even in when it seems like we're in a "pointless position". My goal is to help you to embrace your purpose, develop language for your calling, and find opportunities to flourish in your personal and professional life. Join me each Wednesday at noon, and let's take back the middle of our week. No more hump day blues - let's get motivated, and step into purpose! Episode 4: Starting Over - You have the Grace to Get Going! Wisdom Wednesday’s is back! My goal is to help you to embrace your purpose, develop language for your calling, and find opportunities to flourish in your personal and professional life. Join me each Wednesday at noon, and let’s take back the middle of our week. No more hump day blues, let’s get motivated, and walk in our purpose. StepIn2Purpose Podcast - Episode 3: The Journey to Purpose. It’s the first day of Lent and we’re examining what happens after your 40 day journey has ended! Episode 2: Shift Your Mindset! 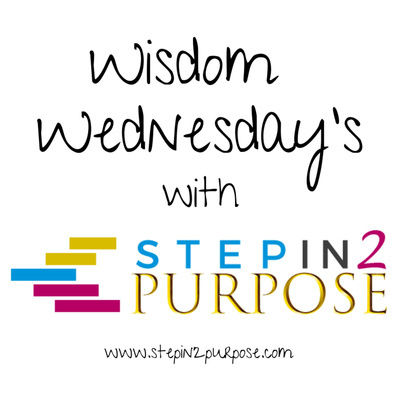 Welcome to Wisdom Wednesday’s on the brand new StepIn2Purpose Podcast! I’m so glad to have you join me on this journey as we embrace our purpose, develop language for our calling, and discover opportunities to flourish in our personal and professional lives. On today’s episode, we’re discussing what it means to “Curate Your Life to Live Out Your Purpose”. Curation has become a buzzword in the world of social media, but if we applied some of the same principles to our “real” lives, we may find more peace, contentment, and satisfaction than we thought possible. Join me every Wednesday at noon, and let’s take back the middle of our week. 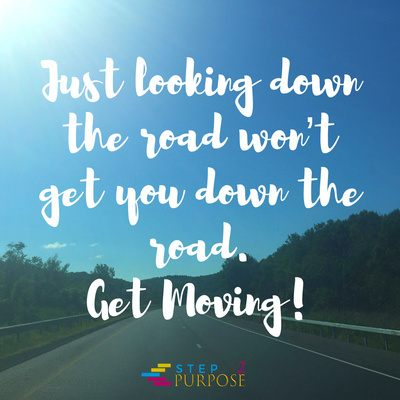 No more hump day blues - let’s get motivated and step into purpose!